Situated in the mountains, this luxury hotel is within 1 mile (2 km) of Parish Church St. Sebastian and Berchtesgaden National Park. Wimbach Gorge and Hintersee are also within 3 miles (5 km). 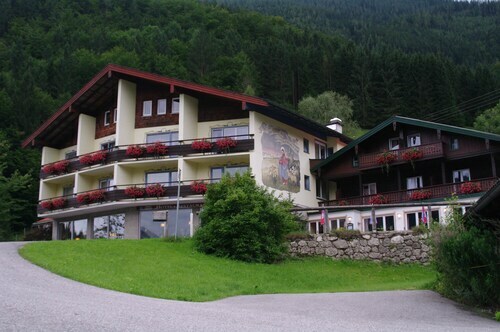 Situated in Ramsau bei Berchtesgaden, this hotel is within 1 mi (2 km) of Hintersee and Berchtesgaden National Park. Parish Church St. Sebastian and Wimbach Gorge are also within 3 miles (5 km). Situated on a river, this spa hotel is 0.7 mi (1.1 km) from Parish Church St. Sebastian and 1.5 mi (2.5 km) from Berchtesgaden National Park. Wimbach Gorge and Hintersee are also within 3 mi (5 km). 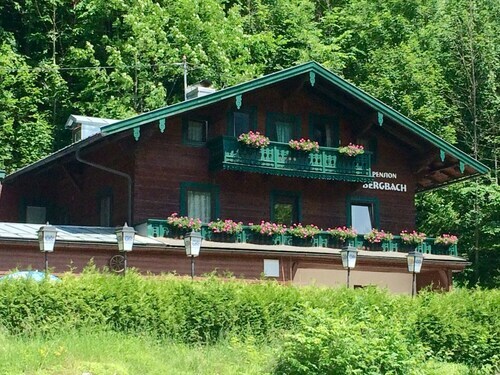 Situated in the mountains, this apartment building is 1.2 mi (2 km) from Parish Church St. Sebastian and 2.3 mi (3.7 km) from Berchtesgaden National Park. Wimbach Gorge is 1.6 mi (2.5 km) away. 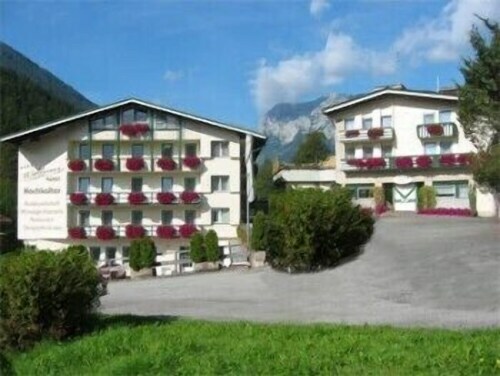 Situated in Ramsau bei Berchtesgaden, this hotel is 1.1 mi (1.8 km) from Parish Church St. Sebastian and 2.3 mi (3.6 km) from Berchtesgaden National Park. Hintersee and Wimbach Gorge are also within 3 miles (5 km). 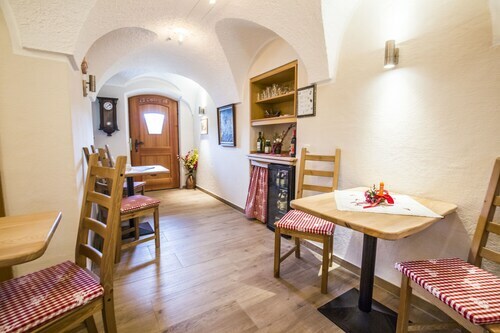 Situated in Ramsau bei Berchtesgaden, this pension is 1.1 mi (1.7 km) from Parish Church St. Sebastian and 2.1 mi (3.3 km) from Berchtesgaden National Park. Hintersee and Wimbach Gorge are also within 3 miles (5 km). 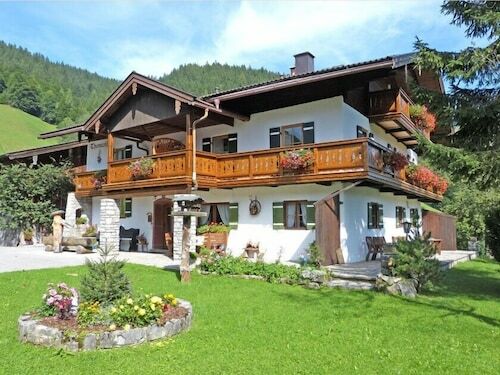 Situated in Ramsau bei Berchtesgaden, this apartment building is 1.3 mi (2 km) from Parish Church St. Sebastian and 2.2 mi (3.5 km) from Berchtesgaden National Park. Hintersee and Wimbach Gorge are also within 3 miles (5 km). 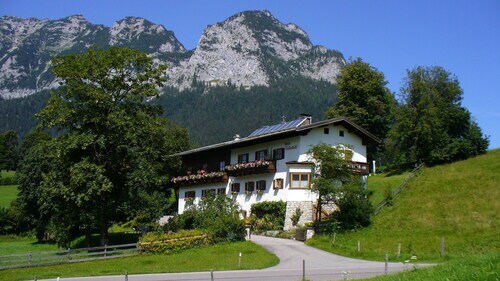 Situated in a rural location, this pension is within 1 mi (2 km) of Wimbach Gorge and Berchtesgaden National Park. Parish Church St. Sebastian is 1.5 mi (2.4 km) away.